This may seem like an unusual topic for a blog. “Don’t you receive notice of a foreclosure sale in Virginia?” you might ask. “Doesn’t the law require you to be served? Virginia is a non-judicial foreclosure state which means that the process of foreclosing does not require a court action. The foreclosure can be accomplished by use of a “trustee” who is required by law to follow certain steps and timelines. The problem arises because the most important part of this “notification” process in Virginia is the fact that notification is done by placing the announcement of the foreclosure sale in the newspaper. I am sure you have seen many of them over the years. But if you are like me, you may have some curiosity about them but you o not read them. Well, in most cases neither does the homeowner. Most homeowners approaching foreclosure rely on either the mortgage company notifying them of the foreclosure sale by telephone or by some notification via the US mail. Sometimes they get neither. Sometimes they get this type of notification late. Thus, the reason why I am writing this little legal guide on “Signs A Foreclosure Sale Date Exists”. Given the market for investors to make money off of foreclosed properties, you can be sure their are a number of people out there at any one time monitoring your sale. Investors and attorneys monitor the foreclosure announcements for potential investments or clients. Often the saying “the early bird gets the worm” applies in this case also. The quicker they contact the distressed home owner then quicker they may either get a “deal” or a client. So often your first sign a sale date may exist may come from an investor or an attorney. 2) A mailed advertisement from an attorneys office claiming they can help you stop your foreclosure sale. Often it will refer to bankruptcy as a solution. 3) A mailed advertisement from a non-attorney claiming they can stop your sale. It may say they can get a loan modification for you or some other solution that sounds very enticing. What all three have in common is the idea that someone other than you or your mortgage company have an awareness of your difficulty paying the mortgage. This should not and would not happen until a public notice of the sale is posted. What to do? If you receive such a call or a mailing contact a qualified bankruptcy attorney immediately even if you have a loan modification application being processed by your mortgage company. The only sure way to halt a foreclosure sale is with a bankruptcy. If the company has advertised a sale the risk of losing your house needs to be taken seriously. I always advise my clients to respond to what the company is doing not to what a disembodied voice on the phone , which will disappear in the event of an error, is telling you. 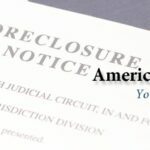 It doesn’t hurt to speak with an attorney even if you are not in foreclosure yet. What is the Boy Scout motto: “Always be prepared”.